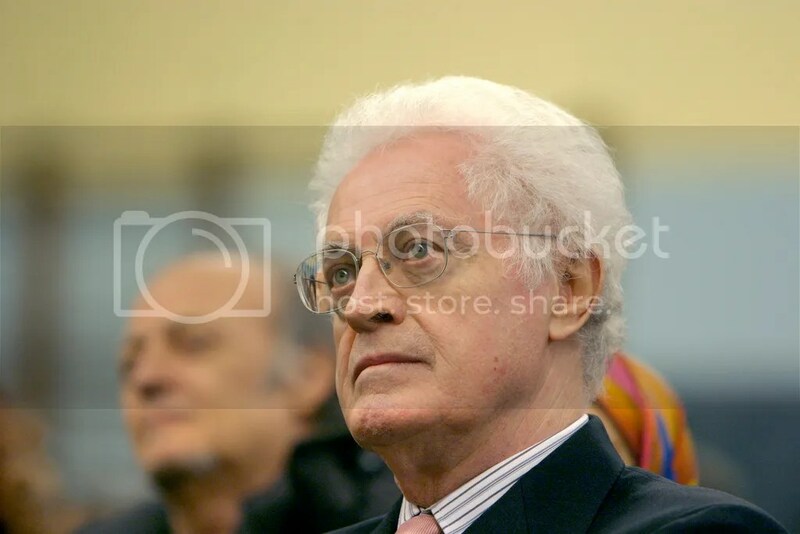 On Monday, the former French Prime Minister Lionel Jospin joined me and two other PROSPECT staff writers for an informal conversation about the future of Europe. In spite of the informality of our meeting and the consequent lack of any recording assistance, the precious participation of Rebecca Benest and Samson Yuchi Mai has helped me leave as little as possible on the road. What follows is a fairly accurate report of how our conversation went. Mr. Jospin, the structure of the EU recognizes a strong role of supervision of the national Parliaments vis-à-vis the European Parliament. Do you think it is likely to see a relaxation of this power toward a more legislatively powerful Europe in the future? The relation between the European Parliament and the single national Parliaments is at the core of the EU. At the first stage of the European integration, the governments of the member states used to send groups of people they selected to the ancestral form of the European Parliament. Only in 1977, the member states agreed on an elective form of selection of the European representatives. This definitely increased the European Parliament’s legitimacy vis-à-vis the central governments. This institution has grown over time and nowadays the power of the EU’s Parliament is already larger than it used to be. Getting to your question, I think that a further relaxation of the single members’ legislative power is hardly achievable. But I also think that the takeover of more legislative responsibility by the European Parliament does not necessarily follow a decrease in the legislative power of the national Assemblies. I believe it rather follows the enforcement of a stronger cooperation between the two. Rather than debating who should retain more power, I think the EU should move towards a more comprehensive and tight legislative interrelation between national Parliaments and the European Parliament. By doing this, the policies debated in the EU’s committees would be more intertwined to the people’s lives in the single member states. The EU has recently started to enact protective policies meant to defend employment. At the same time, the neo-liberal push represented by countries such as the UK and Germany has stimulated the EU to start moving forward from old protective programs like the CAP (the “Common Agricultural Policy”). Do you think Europe is moving toward a more social or liberal union? It is really hard to say. At the very beginning, when the ECSC (the European Coal and Steel Community) was created, the purpose of the union was to stimulate trade and economic relations by both fostering trade and at the same time by protecting it. From that moment, the EU retained its sideline protectionist role all the way to the period in which I was Prime Minister of France. At the time, twelve out of the fifteen members of the EU had Social Democrats leading the respective governments. Their view was that Europe had to be somewhat defended from the globalizing tendencies that were threatening wages and small businesses. Now that the eastern states joined the EU, a broad protective perspective does not exist anymore. These new member states are quite against anything that is even remotely associable to socialism. They are also against policies that would hit their low-paid workers vis-à-vis the other richer member states. Moreover, wages are exponentially increasing in developing countries. All of these factors together will probably decrease the necessity of a more social Europe. Nevertheless, countries in the north such as the Scandinavian ones are inherently “social” countries, accustomed to set a dialogue between companies and workers. These member states will hardly ever give up their innermost conception of the economic life. President Obama has recently proposed an area of free exchange between the U.S. and the EU. What’s your opinion about this proposal? It’s a new idea and so I can’t really say much about it. The project has to be further explained and developed, and we need to know what it entails before I can actually have a position about it. I’ll tell you though that the relationship between the euro and the dollar has to be well defined before the area is implemented or it would be disastrous for both continents. The Fed and the European Central Bank (ECB) have different characteristics and different powers concerning the respective debts and currencies. An area of free exchange would have to set these differences in order to make the idea actually advantageous for both partners. After the financial crisis hit, there have been a lot of talks regarding the future of the common currency. What do you think the destiny of the euro will be? The destiny of the Euro shouldn’t be the focal point of the debates concerning the recent financial crisis. Indeed, the crisis hit so hard mainly because of other reasons that do not really have much to do with the Euro’s dysfunctions. A lot of commentators said that the lack of devaluating power of the single countries has deepened the strain caused by the financial crisis. But as multiple examples in the past show, devaluating a country’s currency does not really represent a way of getting out of the problem, but rather increases the difficulties of a country to cope with the crisis and represents an economic “defeat”. Also, the real speculation has not risen up against the euro, which has rather stayed fairly stable in its relation with the other international currencies. The real speculation has focused on the national debts and assets. The crisis of the Eurozone is rather a crisis of the debt and of the economic growth. Indeed, if it was not for the euro, the members’ devaluations would have further exacerbated the financial crisis. The euro is still something beneficial for the Union. Even Germany, that seems to be heavily hurt from carrying the weight of the lagging Mediterranean countries, would be terribly wounded if the euro had to be revoked from the market. A new Deutsche Mark would suffer so much appreciation compared to the other European currencies that Germany’s exports, on which its economy is based, will cease being attractive. So if the euro has minimal fault, why is the Eurozone taking so much time to recover from the crisis? A lot of people think it is because of the inefficiency of the European Central Bank. Do you think that the ECB has the means to be a successful bank of issue? And also, what’s your stand over the implementation of the Eurobonds? In my opinion, the ECB’s main problem has to do with its reaction times. Coordinating different countries and banks toward a single objective takes much longer time than just implementing the necessary policies when they are needed. The late responses given by the ECB during these years have aggravated the EU’s ability to recover from the crisis. Moreover, the austerity policies that have been imposed on some endangered member states like Greece, Italy and Spain have had scarce results. I believe the ECB should reduce its reaction times, focus on a better management of the euro and try to implement policies meant to spur economic growth. In this sense, Mario Draghi has started setting the right path for the future. For what concerns the Eurobonds, I can tell you it is a project that is hardly going to happen. The opponents, led by Germany, are too strongly against it. But I can also tell you I support the idea. Although it might prompt some members to stop taking as much responsibility of their actions as before, it would also spur a stronger bond based on communal aid. Do you think that the European security policy will expand following the multiple requests of the US? Also, is NATO’s power in Europe going to fade away in exchange of a European military union? Europe’s security policy will hardly ever grow into a military alliance on the NATO’s example. The EU’s international interventions focus on programs of financial, medical and training aid, rather than military involvement. The small members that make up the union are not that interested in operations that their budgets can’t afford. It is also very difficult that the countries that spend the biggest share of their budget on military expenses, like the UK and France, will ever give up their decisional power when it comes to military interventions. When I was Prime Minister, I opposed Chirac’s proposal of joining the NATO. Our independence had given the French army the decisional quickness and precision to make successful raids in Kosovo. The NATO and the U.S. often were not quite that successful. Coordinating multiple nations took longer times and often endangered the missions’ accomplishment. The U.S. for example repeatedly ended up causing civilian casualties with their “flush” attacks in Yugoslavia. Joining the NATO would have been politically unwise. Anyways the NATO’s future is in the hands of the U.S. and has not much to do with the EU. Nevertheless, I hope the EU will start a common discussion over military matters. In particular, I really hope for the EU to start a common plan of regulated production and distribution of weapons. The EU has just won the Nobel peace prize. The unlikelihood of a conflict between France and Germany and the contemporary moment of politico-economic disarray within Europe have prompted many commentators to point out at the bad timing and the unworthiness of the price award. Others have argued that the prize is a symbol of Europe’s integration over almost sixty years of history. What’s your opinion? Ah! I’ll start my lecture tonight from the Nobel peace prize. Is it a funereal celebration or a symbol of the EU’s success? That will be my prompting question. Well, I’ll say it was unexpected. The prize has usually been given to NGOs and influential personalities, rather than politico-economic organizations like the EU. Anyways I think the European project deserves such an award. The EU has been fundamental in reshaping the continent after the two world wars and now it represents a symbol of unity that is a model to the world, no matter its present difficulties. So… we take it! Special thanks to Rebecca Benest, Samson Yuchi Mai, Alexsandra McMahan, Kristen Michener, Marcel Henaff and of course former Prime Minister Jospin himself!